Happy Halloween from Link and Zelda! Now that Halloween is here, I have compiled all the patterns in one place! Each piece to the costumes are here for you to create. Each photo is listed with the link to the coinciding blog. Follow all the patterns to make your own Link and Zelda by clicking the photos or the links above the photos! If you choose to not make the costumes, you will still find a collection of great patterns below to modify for personal use. The Link to the Past Hat is a great stocking cap for cold weather, holidays, or cosplay costumes. Follow this link to make your hat. Elfin Ears are a must in the Link and Zelda Costume! They can also work for many other fun costume ideas!! This fun and easy pattern is the perfect detail to give your outfits a fantasy look!! The Chain Link Tunic is the lining under Link’s main Pullover. This tunic is not only a great detail in this costume, you can modify this to be a swimsuit cover-up or as a mesh top over a dress. Lots of versatility with this piece! Link’s Fingerless Gloves were made from my Harry Potter gloves you can find here. By changing the colors and adding a few more rows, they worked perfectly for this costume! Change them up to match your winter gear and make your own! Link to the Past Pullover Vest is the green shirt Link wears over the Chain Link Tunic. This is the main part of the costume for your Link Character. Don’t need a costume? Use this pattern and make it into a Baha Hoodie, Vest, or Poncho! Aside from these patterns I created to complete the Link costume, there were additional pieces I created or used to finish the entire ensemble. For the sashes, I just chained an amount that was long enough to fit around Nate, then I double crocheted across, chained up 3, and double crocheted across for a second row. Then I fastened off and sewed it together. I did this for both the belt and the shoulder sash. I just had Nate pick up the grey turtleneck and khaki pants at a thrift store. For less than $10.00 it was his contribution to this costume. Now he has a shirt for work and a pair of khaki pants he can wear again! It’s a win/win!! For the leg warmers I modified this boot cuff pattern and made them longer. See the video tutorial for these boot cuffs to make the leg warmers longer. The boots were an old pair we had on hand. I did pin the Elf Ears on the hat with safety pins and used pins to also secure the sash in place. I used cardboard, grey acrylic craft paint, and felt for the sword. Zelda’s Head piece can be found here. This can be used for any princess outfit and can be modified as a crown or even a fashion piece. Change the colors and make it your own! The Fairy Tunic was the last piece I made. Unfortunately, I made this slightly larger than I needed, but it worked perfectly to fit over my Zelda “dress” that I found at a thrift store. Since I dress modestly, I also wore a long sleeve white shirt, so having made it a tad bigger worked in my favor since I had to wear it over everything. The Princess Shoulder Armour can be found in this blog. 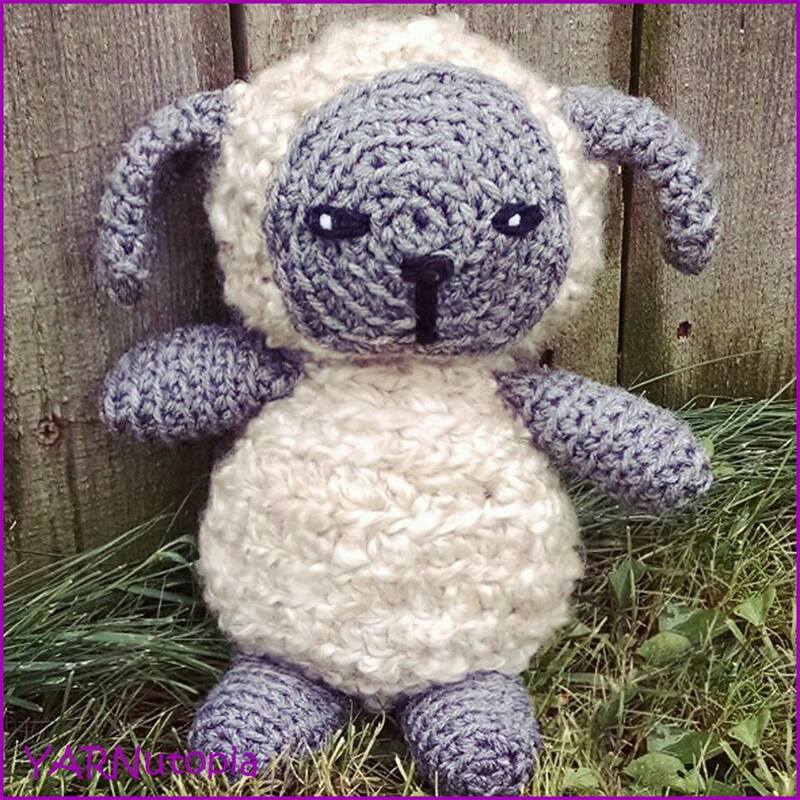 I crocheted around wire in this tutorial and it is a great demonstration on how easy it is to make your crochet pieces mold-able allowing you to shape your design. One tip: beware of tiny wire poking out. Watch those ends or you might get poked with a wire! OUCH! Once again, The Elf Ears are a must in the Link and Zelda Costume! They can also work for many other fun costume ideas!! This fun and easy pattern is the perfect detail to give your outfits a fantasy look!! Princess Costume Gloves are another fun detail to complete this costume. I add detail to give some fun authenticity, but these can be modified for any costume or make them for your personal use by changing the color and adding other embellishments! Aside from these patterns I created to complete the Zelda costume, there were additional pieces I created or used to finish the entire ensemble. I wrapped my hair in white yarn strands. As I studied the Zelda character, I found in most sketches, she had two lengths of hair wrapped in the front. I emulated this as best as I could as I typically cover my hair. This was the best way to accomplish that. Zelda’s skirt was a second hand wedding dress I found at the thrift store for $8.99. It had some jewel design on the bodice so I tried to work it to my advantage. I used grey acrylic craft paint to draw a similar design along the bottom of the dress which I found in most of the cosplay drawings I studied while trying to create this costume. I wore a white long sleeve shirt underneath my dress and top as a personal choice. Most costumes I studied, had NO sleeves, but it works both ways. I used cardboard and felt to create her dress panel that hangs down the front. I attached it to a hanging embellishment – The Destiny Headband. I used safety pins to secure it to the inside of the tunic I wore. I wore grey boots as I noticed that Zelda often wears combat boots in the video game. When Nate and I were deciding on costume ideas, I found this cosplay ensemble to be most challenging project yet. Nate is a gamer; I am not. I struggled to give these costumes authenticity as I was learning as I go. I hope I gave these characters the homage and respect they deserve. I had so much fun in the creative process and getting caught up in learning about this video game added to the thrill. I really hope it makes you as happy as it made us to dress up and wear these wonderful costumes. It was worth every moment to make them. We won BEST IN SHOW in our annual family Halloween costume contest, and we were awarded the Golden Pumpkin! We also won second place in a community costume contest and won a $50 gift certificate! It has been such a fun journey! Thanks for coming along with us! Here is the latest piece of the cosplay costumes I am creating. My Link to the Past pullover vest is Part of Nate’s costume. We will be doing a full reveal on Saturday October 28, 2017. This ensemble has a few more additions until complete but the closer I come to finishing, the more excited I get! -This project uses less than 1,450 yards of yarn. You can repeat this pattern or stop sooner and go onto the shoulder part when the front length is as long as you need it to be. Row 1: Working in FLO, HDC across Right Shoulder, and across Left shoulder in each stitch (see video tutorial for visual instructions), ch 1, turn. Rows 4-53: Repeat Rows 2 and 3 ending on a repeat of Row 3. Like this hat? Try making the Link to the Past Stocking Cap! I spend a lot of time in the yarn aisle whenever I find myself out shopping. I also find myself drawn to beautiful fibers each time I see an attractive item in housewares. Clothing with crochet detail always catches my attention. It has become innate to be enticed to anything related to my passion. So is it any wonder that my wish list grows each time I head out to do some retail therapy?? I have a lot of self-control. I have developed it over the years as a need-based defense mechanism. Without it, I would go completely broke! But, that doesn’t mean I can’t dream, and hope that one day I might splurge (first I have a wedding to pay for so for now, admiring from a distance is ok)! I love a good sale! I love shopping the internet for the best deal! Today, I worked some of my research magic to find some great deals on my “Wish List” items!! I am tucking these away here on my blog to revisit. Maybe in some future blog posts, I might actually follow through with a splurge and these items might make an appearance. Today’s items are things I hope to one day add to my craft room! As you all know, our personal spaces are ever evolving. I can imagine the same will be the case for me as time goes by. One of our YARNutopians made a suggestion following my recent blog post in which I talked about my recent room remodel. That got me thinking of the future and some small touches I can see adding. I have always wanted a letter board. I love motivational quotes and this board makes the idea of changing the quotes daily or weekly a fun decorating idea for my craft room. Inspiration in my personal space is a fun way to keep me motivated and add that personal touch. Presently, in my studio, I sit in a swivel backless stool that offers nothing in the line of back support. In my new studio space that we created in my new house, I have an old dining room chair pulled up to my work station. I would love to have a swivel office chair with some lumbar support while I work. I feel the hours I spend filming and crafting deserves to be spent in a little more comfort than I have been settling for. This is on the top of the list! I stated earlier that I love fun quotes! I stumbled across some fantastic wall decals and thought a decal on my empty wall would be a great idea to add a little bit of whimsy to an empty wall. I love these! I have seen them used tastefully in decorating! I imagine spending lots of hours in my new craft cave! There is a window for natural light, but as the days get shorter and it becomes dark earlier, I found this nice lamp to brighten up my room while I curl up on the big comfy chair to crochet. Sometimes in dim lighting, especially working with dark yarn, it is hard to see my stitches. Having a lamp like this would be a great tool to cut down on my eye strain and increase my productivity! Currently, when I am filming, I have my supplies piled up on my table off screen. I reach over to grab what I need during filming from the pile I created prior to filming. It is easiest to have my supplies all at hand and within reach, BUT it clutters up my off screen space making me feel overwhelmed by the disorganization. I have always wanted a craft cart but never had the room! In my new studio and craft room, the idea of having a cart to my side (off camera) to organize my supplies needed during filming will make production so much easier and seamless. I can reach over to grab anything I need without the crowding on my work table. Do you have a ‘wish list’ item you would love to add to your personal crafting/crochet space? If so, what would you add to your list? My dad will continue to be the videographer, editor, and photographer for our videos when I get married and move away. Pieces of my Halloween costume creation are coming together! I finished the Princess Costume Glove Armlets. These are the next installment into my exciting cosplay ensemble that I will be sharing at the end of this creative journey. If you are interested in making these armlets, scroll down to see the video tutorial and written pattern. Keep in mind, you can change the color for any princess costume or even for personal use! I also give tips on how to adjust the size in the Notes section! -Your foundation chain should be in multiples of 6 so you can make these as small or large as you want. -The sleeves I made are 15 inches long but you can make them as long or short as you want. -The top of my sleeves are 10 inches around, but you can increase the sizes around the top of the sleeves by chaining an amount that is in the multiple of 6 that measures as long as the circumference of your upper arm. Rnd 1: Ch up 1, SC in each Ch around, Sl st to first SC, Fasten off. Rnd 2: Attach Aruba Sea to any stitch around, Ch up 3 (Counts as first DC), DC in previous stitch (working behind the ch up 3 st–see video tutorial for visual instructions), *Sk next stitch, DC in next st, DC in sk’d st, repeat from * around, Sl st to first ch up 3 st, Fasten off. Rnd 3: Attach Delft Blue to any stitch around, Ch up 1, HDC in each st around, Sl st to first HDC, Fasten off. Rnd 4: Attach White to any stitch around, Ch up 1, HDC in each st around, sl st to first HDC, DO NOT fasten off. Make a few chains and sew them onto the sleeve as an embroidery design. See video tutorial for visual instructions. You can opt out of having the design on the sleeves, or you can make it as intricate as you want! Have fun with it! Like these sleeves? Try the Destiny Headband!! -I used Red Heart Evermore Yarn but you can use any bulky size yarn to make this hat and cowl set. -This hat measures approximately 22 inches around and will fit an adult size head. Rnd 3: Work in both loops doing regular DC on this row, Ch up 3 (Counts as st), DC in next st, *3 DC in next st, DC in next 6 sts, DC3TOG, DC in next 6 sts, Repeat from * around, ending with DC in last 4 sts, Sl st to first st, turn. Rnd 5: Work in both loops doing regular DC on this row, Ch up 3 (Counts as st), DC in next 3 sts, *3 DC in next st, DC in next 6 sts, DC3TOG, DC in next 6 sts, Repeat from * around, ending with DC in last 2 sts, Sl st to first st, turn. Rnd 7: Work in both loops doing regular DC on this row, Ch up 3 (Counts as st), DC in next 5 sts, *3 DC in next st, DC in next 6 sts, DC3TOG, DC in next 6 sts, Repeat from * around, ending with DC3TOG, Sl st to first st, turn. Rnd 9: (looking at outside of hat) Ch up 4, DO NOT work in same st as ch 4, TR in next st, *DC in next 2 sts, HDC in next 2 sts, SC in next 2 sts, Sl st in next st, SC in next 2 sts, HDC in next 2 sts, DC in next 2 sts, TR in next 3 sts, repeat from * around, ending with TR in last st. Sl st in to first st.
Do not turn. Continue to decrease top of hat. Rnd 17: (brim round) Attach yarn to any DC3TOG stitch, (See video tutorial for visual instructions, Ch up 4, DO NOT work in same st as ch 4, TR in next st, *DC in next 2 sts, HDC in next 2 sts, SC in next 2 sts, Sl st in next st, SC in next 2 sts, HDC in next 2 sts, DC in next 2 sts, TR in next 3 sts, repeat from * repeat from * across, ending with TR in last st.